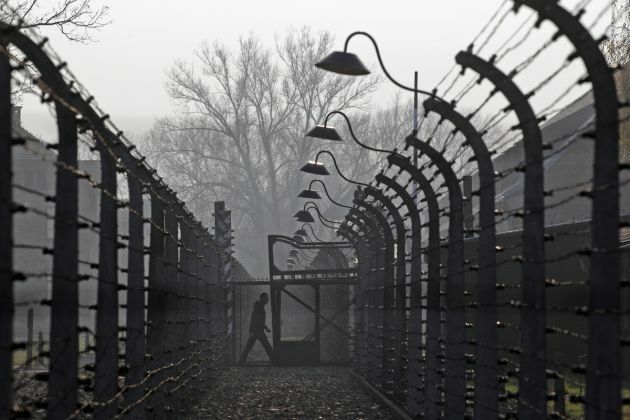 (Photo: REUTERS / Kacper Pempel)A visitor walks between electric barbed-wired fences at the Auschwitz-Birkenau memorial and former concentration camp November 18, 2013. BUSAN, South Korea – When United Nations Secretary-General Ban Ki-moon visited the Auschwitz concentration camp this week the world focussed for a brief moment on the horrific impact of antisemitism. Ban became the second U.N. head to visit the camp complex, which was essentially a death factory, after Boutros Boutros-Ghali's tour in 1995. His visit came at a time when there are reports of growing antisemitism in the world. Journalist Nan Spowart wrote in the Scottish Daily Record newspaper on November 12, "A visit to Auschwitz death camp changed my daughter's view of the world." Spowart wrote, "I'm worried that it has traumatized her. When I picked her up from the airport she started to cry. "As a rule she doesn't cry much but I think her heart is broken." (Photo: Ecumenical News / Peter Kenny)Manuel Quintero, international program coordinator of the World Council of Churches' Ecumenical Accompaniment Program in Palestine and Israel (EAPPI) talks to Ecumenical News on October 30, 2013 during the 10th WCC Assembly in Busan, South Korea. Two weeks earlier, a key religious figure from Israel had called on leaders at the 10th Assembly of the World Council of Churches in Busan to renew a commitment at the Christian organization's foundation at Amsterdam in 1948 to treat anti-Semitism as "a sin against God." Debbie Weissman, president of the International Council of Christians and Jews (ICCJ), said the disease of antisemitism must be halted. "I look to the WCC to continue to condemn and combat antisemitism, especially where it is on the rise today, in places like Hungary, Greece and the Ukraine." Speaking to Ecumenical News from her home in Jerusalem before flying to Busan, Weissman said her relationship with the WCC goes back to a 1988 women's conference in Toronto which she described as "a life transforming experience." "I remember as well the 1990 convocation in Seoul, devoted to justice, peace and the integrity of Creation," said Weissman, a feminist and educator. Busan was her second WCC assembly. "My first was seven years ago in Porto Alegre, Brazil, and I have attended many other smaller conferences and meetings." At Busan she discussed a number of issues with Christian leaders, including the need for on developing relationships with all the world's great religions. "We would hope that Christians would feel a special relationship with Jews and Judaism, because of our shared Scripture and because of the Jewishness of Jesus," she said. She said she wanted to see Christians oppose legislation against circumcision and ritual slaughter for meat which she described as "issues that Jews share in common with their Muslim brothers and sisters." Weissman noted, "We hope that any discussion of the precarious situation of Christians in the Middle East would note that Christians have more freedom of religion within the State of Israel than in any other country in the region. "The Occupation of the Palestinian Territories is a serious problem, but it's a political one, not specifically a religious one." Weissman recalled that the ICCJ recently published a statement on the situation in Israel/Palestine a document called "As long as you believe in a living God, you must have hope." She said that this was a direct quotation from Palestinian Bishop Munib A. Younan, who is president of the 70-million strong Lutheran World Federation, and who also attended the world church gathering in Korea. "We hope that the WCC will help us promote this nuanced, balanced approach, characteristic also of our 2009 Berlin Document," Weissman told EN. "Both of our organizations are very interested in promoting dialogue with Orthodox Christians. "This has particular implications for the Middle East, where so many of the Christians are Orthodox. Within the Global South, where Christianity is growing the fastest, there are many areas where there is no Jewish community. "We would like to share the fruits of the so far largely Western Christian-Jewish dialogue with Christians around the world." The ICCJ president said that religious people around the world today face serious problems including the rise of secularism and the rise of extremist kinds of religious expression. "The Assembly theme, God of life, lead us to justice and peace provides a welcome opportunity to do this," said Weissman. Welcoming the arrival of Weissman in Busan is a man at the heart of Christian influence and change in the Middle East, Manuel Quintero, international program co-ordinator of the WCC's Ecumenical Accompaniment Program in Palestine and Israel (EAPPI). He said Weissman had done "a great deal" to improve relations between Palestinians and Israelis. "She has always said that by wanting to see change in Israel, the WCC is certainly not an anti-Semitic organization. "She is one of the Jews in Jerusalem who understands the humanity of other people and the EAPPI want to improve its relationship with everyone in Israel." 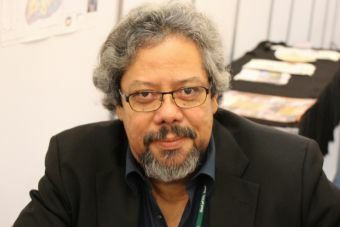 Quintero, an elder in the Presbyterian Church of Cuba, involved in the ecumenical movement since 1969, said that EAPPI had a prominent role at the 10th Assembly. It played this by bringing the Palestine/Israel situation to the attention of Christian leaders. He strongly denied accusations from some Jewish and Christian organizations that the WCC is an anti-Semitic organization, often levelled when there is criticism of Israeli actions or expansion of settlers into "occupied territories." The organization he represents is simply pro-human rights for everyone in Israel where there are now many people, Christians, Jews and Muslims, calling for change and end to "The Occupation" of what are known as the "occupied territories." These are areas designated as occupied territory by the United Nations and other international organizations, governments and others to refer to the territory seized by Israel during the Six-Day War of 1967 from Egypt, Jordan, and Syria. They consist of the West Bank, including East Jerusalem; much of the Golan Heights and the Gaza Strip. "If we want to employ Christian terminology, then these are what we'd call prophetic voices. I don't think that ending The Occupation will mean the end of Israel. "On the contrary, it will open the way for the co-existence of two States, side by side with people that have a lot in common." Quintero there is much to admire in Israel. "If you go to Israel, you'll see how they've modified the landscape. "It's a very scientifically progressive society. They are so culturally advanced and have so much to contribute. "It's a pity with all that richness they stop Palestinians enjoying the basic rights and privileges that they enjoy. I'm not anti-Semitic at all. But what we have is a David and Goliath situation. Israel has all the military power and economic advantages. "Palestinians are helpless. When one Israeli is killed, 100 Palestinians die." Quintero said that one day the wall that divides Jews from Palestinians in Israel will fall; "Walls always come down." He explained that EAPPI, which has teams of people monitoring human rights violations in Israel, was formed in 2001 after calls to the WCC were made by the churches in Jerusalem for protection and help. He said its basic aim was to end The Occupation. On its website EAA says it campaigns "for a just and peaceful resolution to the Israeli/Palestinian conflict through an end to the occupation, respect for international law and implementation of U.N. resolutions." Asked if that would also mean an end to Israel he said, "No. We believe that The Occupation is bad for both Palestinians and Israelis."